Oooh, Shinies! : 5 years Oooh, Shinies! - 5 days of giveaways day 1: Bundle Monster! 5 years Oooh, Shinies! - 5 days of giveaways day 1: Bundle Monster! 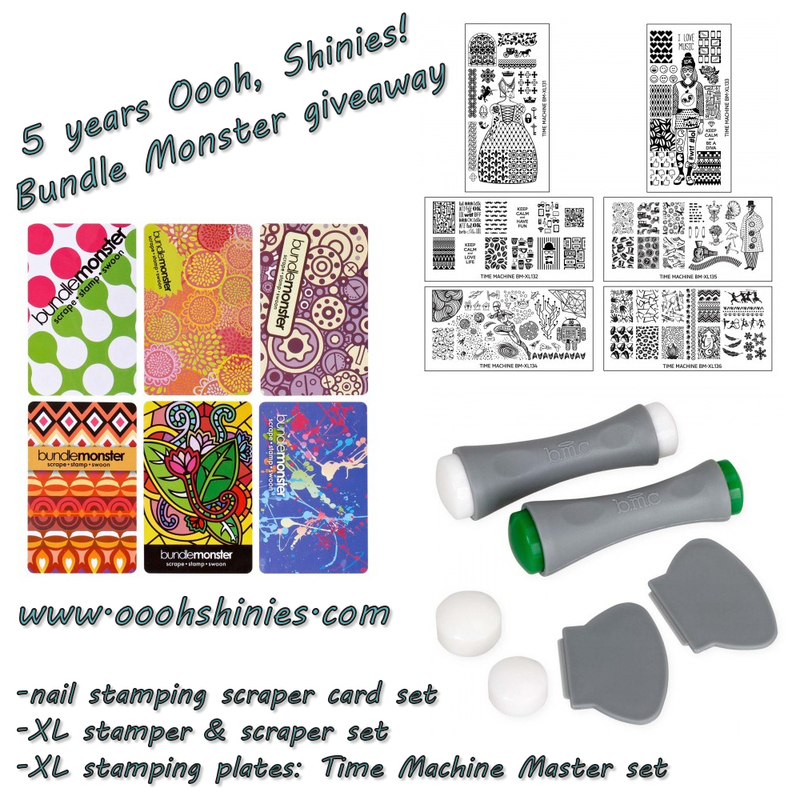 To celebrate 5 years Oooh, Shinies!, I figured '5 days of giveaways' would be a nice idea, so I contacted some of my favorite companies and they joined in! Yay! Big thanks to these companies for their support and generous donations to help me make these 5 days happen. Good luck to you if you enter, and thanks a lot Bundle Monster! • The giveaway is open internationally. • There will be one winner who will receive the prize(s) mentionned above. The winner will be randomly chosen through the Rafflecopter widget. • The winner will be contacted within 24 hours after the giveaway closes, and then has 48 hours to reply. If the winner doesn't reply in time, a new winner will be chosen. • I will send the winner's contact information to Bundle Monster, who will then ship the prize directly to the winner. • You can only enter by using the Rafflecopter widget, entries in comments do not count.